I love boot season, too! 🙂 Super cute fall look, babe! Seeing the fall outfits makes me happy!! Love this season purely for style!LOL! Hope you are having a wonderful day! I just love the burgundy color of that scarf… and it sounds like your mom has a good chili recipe, I am making a batch right now! Love the look, the location and of course, the model! Fall always reminds me of you. Looking forward to the chili too! I hear those sunglasses. great post. Do not forget to check out how you could win a pair of Jeremy Tarian sunglasses for yourself and friend. Love this outfit! And boot season is my favorite. Most of the things you love about fall I love too! Great look. 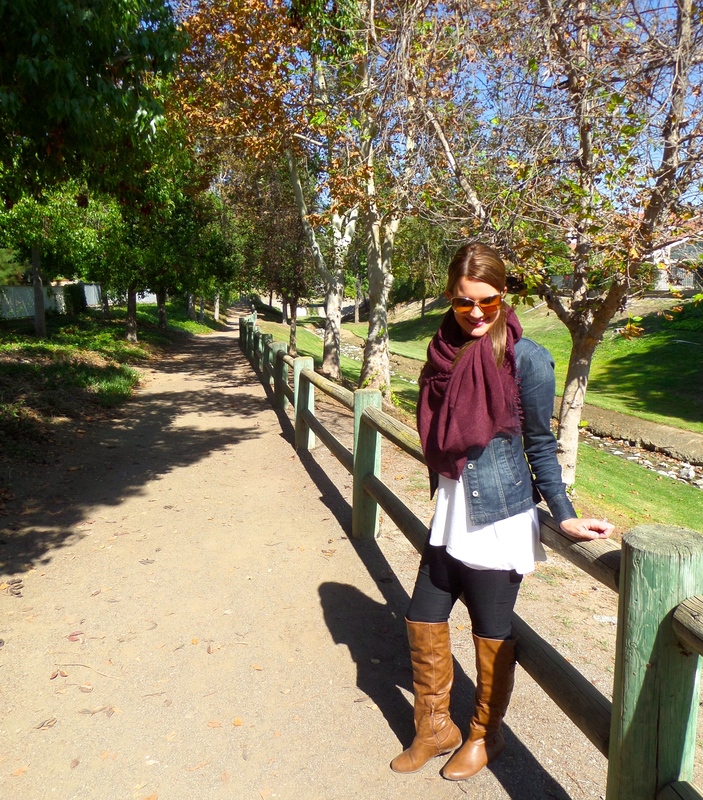 I love boots and scarves with a nice white top. thanks for all your help, kim!! I’m with you girl. Love your boots! xoxo I also love the overknee boots, nice look!! Such a perfect kind of fall look! Love how you tied your scarf. Have a great weekend, Shauna! The color of your scarf is so pretty and I love those books! 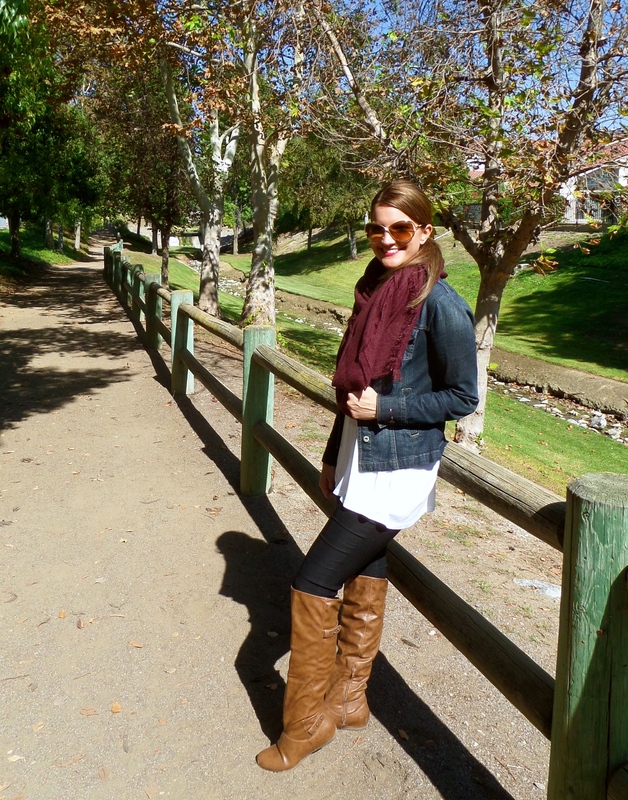 Loving it… awesome scarf and boots! 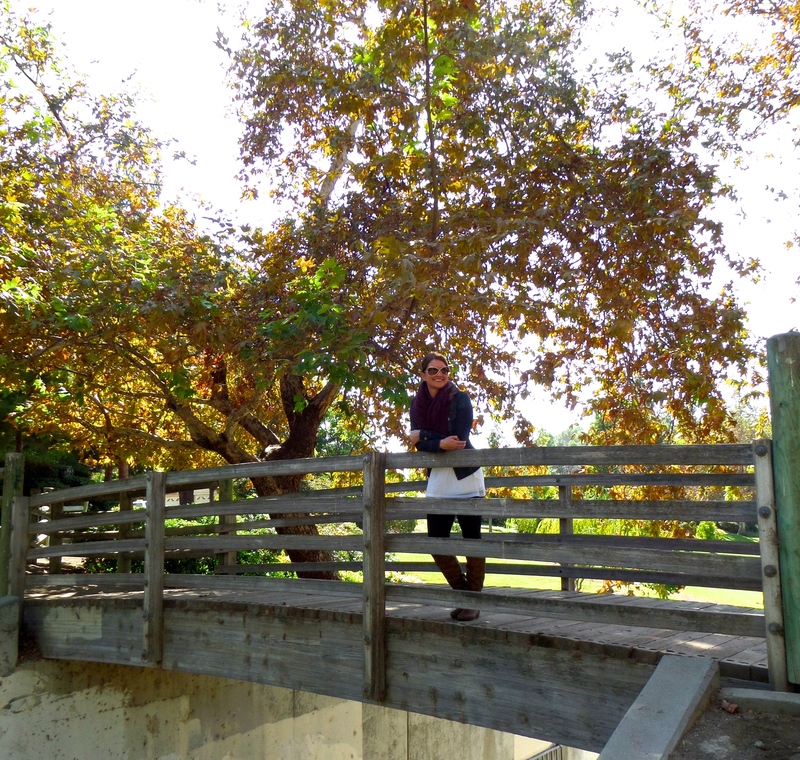 Sweet fall post and a great fall outfit. Love the color of the scarf which is a perfect pop of color. Thanks for linking up! That’s such a pretty blanket scarf! I love the wine color on you! 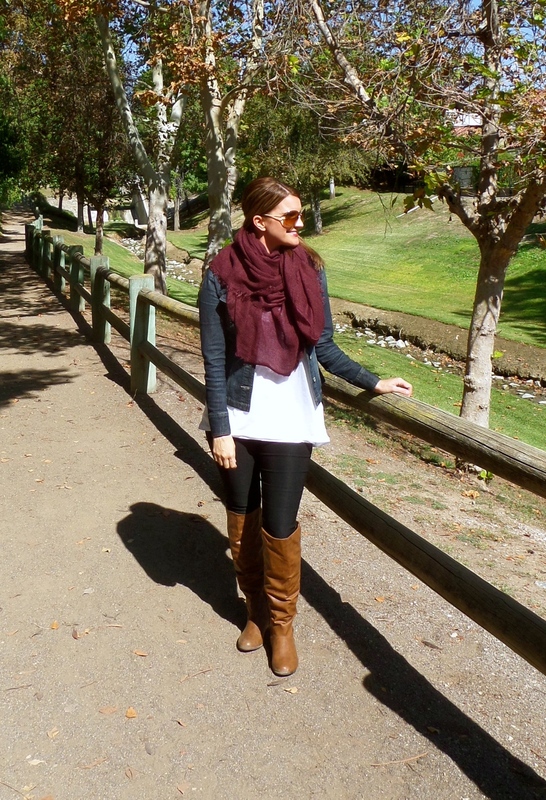 I love the pop of color with the plum scarf! We have the same fall favorites! Beautiful, casual look.You look great! My mom’s chili and dark nails are some of my favorite things about fall as well!! I really love this scarf! And those boots are awesome too, cute look! Loving the color of that amazing scarf!